One of the main reasons why Maple Grove pediatric chiropractor, Dr. Scott is passionate about helping children is because he knows if we can start them off right, they’ll experience better health throughout their lives. In our society, we tend to be more reactive instead of proactive when it comes to health. Often, people will wait until there’s a major problem to think about their health. If we can coach patients from an early age that this is how you take care of your body, we know that they’re going to have a significant advantage in life over others who don’t think that way. It’s a good idea to bring your child in as closely after birth as possible as birth trauma can be highly harmful to an infant. Even with a normal pregnancy, there’s a lot of pressure on the baby’s C1, C2 and the occiput (the top bones in the neck). 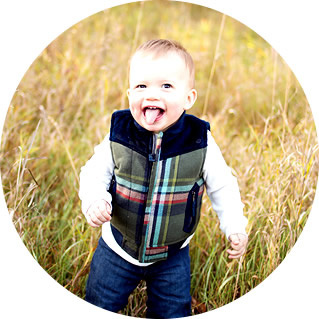 As a pediatric chiropractor, Dr. Scott checked his son right away following the birth and adjusted him almost immediately. The adjustment was so gentle that my son thought I was tickling him. Before an adjustment is given to your child, Dr. Scott will scan their nerve system to see how it’s functioning. “Babies won’t display symptoms the way an adult would. They don’t express pain the way an adult does,” he says. Families love coming to Trillium Chiropractic because of our warm, friendly and always welcoming environment. We have a kids’ area where we serve so many families already. The environment is conducive to babies and children healing in a fun environment. We always put our young patients at ease and will tell them how gentle a chiropractic adjustment is. If you’ve been considering pediatric chiropractic, we encourage you to contact the practice today for an appointment! Get your children on the road to a lifetime of health and wellness with regular chiropractic care.